Off the back of his Mod of the Year victory, I sat down to have a chat with Andreas Fredholm to find out what makes him tick. Congratulations on your Mod of the Year award, Andreas! I think it’s safe to say that your project very much captivated the voters and the forum at large. 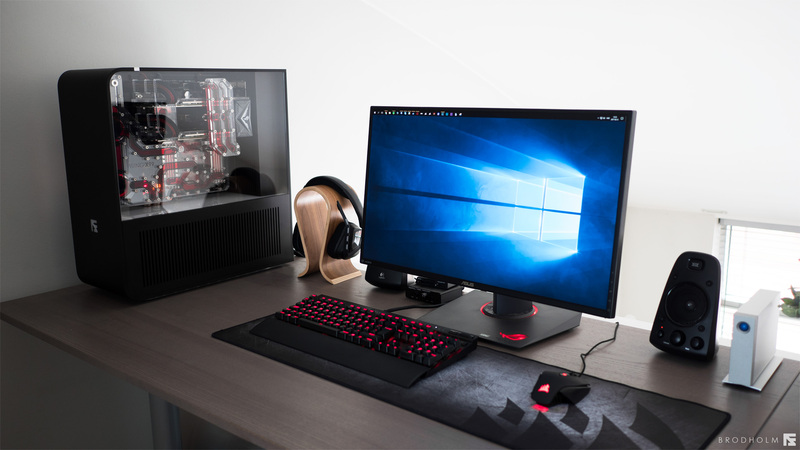 How did you first get into building and designing PCs, and what is it you do for a living? Yeah, I am a bit surprised that I won actually! Really happy that so many people liked it so much, though! Right now, I am on my last year of studies to become a mechanical engineer, but the computer hobby has been there since I was very young and has since then taken up a lot of my free time. I think your engineering background definitely shows through with the approach you took with this build. Your previous project, Model 01, caused quite a stir when it was completed. How did you build on what you’d learned from that project? I have learnt so much since then. Looking back, I can see a lot of mistakes I made, but that is all part of the process. The biggest thing I learned was that things takes much longer than you expect and that you really need to value simple solutions. It is very easy to overcomplicate things and much harder to solve the problem with a simple and elegant solution. When you look at “a simple solution” it should feel obvious; the challenge is getting there. That's a very interesting point actually; often it can be really challenging to figure out a simple solution to what seems a complex problem at first. 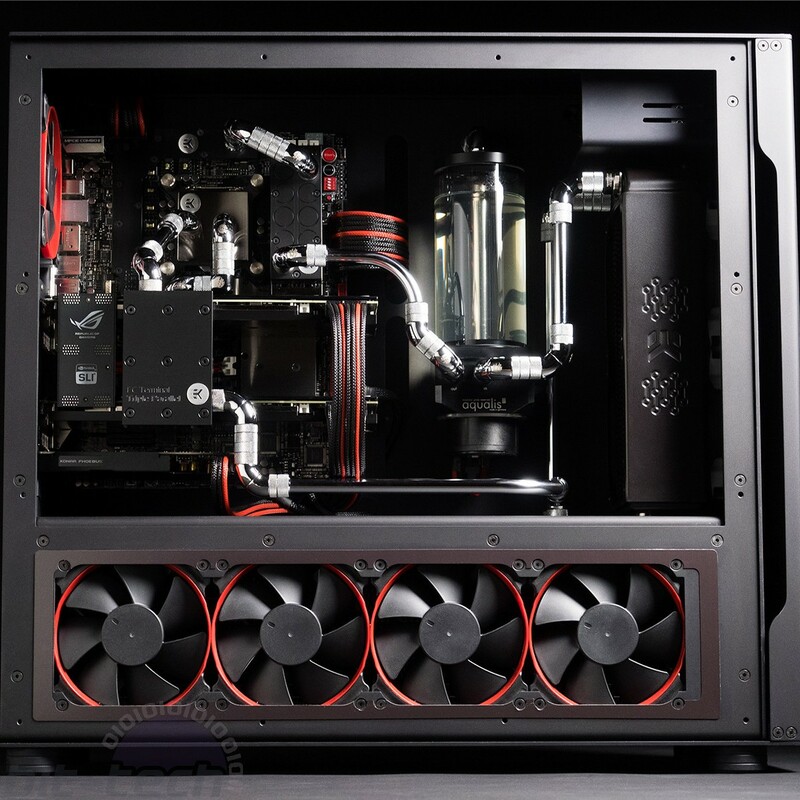 One of the most fascinating parts of Wing X99’s Project log was that you actually built the machine that you later used to manufacture it with, from the ground up. How did you arrive at that decision, and what challenges did you face along the way? That was probably as hard or even harder than making WING X99 itself. I saw how people were starting get custom CNC work and quickly realised the potential in this. I knew back then how expensive CNC work is, so I knew that If I wanted to make something special I needed to build my own machine. A regular rate for CNC-work is about a $100 USD/hour, and WING has more than 200 hours of just CNC. That was simply not a viable option with me being a student. It took two years of planning and building, and I ran into a lot of problems before it was completed. But It was an amazing learning experience for me and in the end really rewarding. 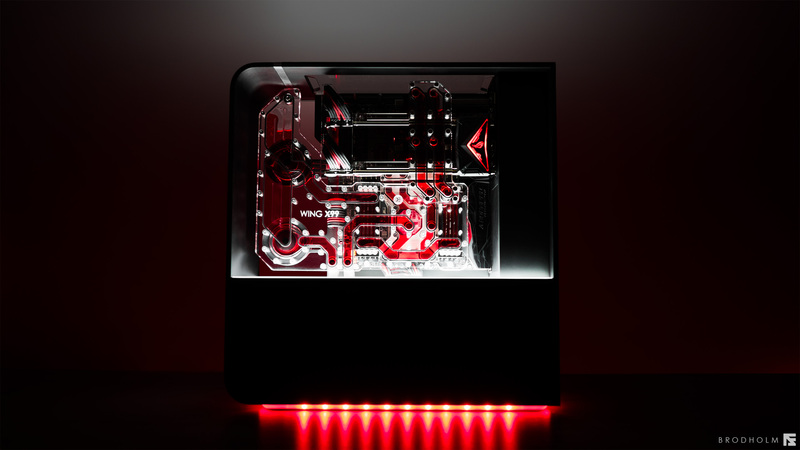 How did you arrive at the external design for Wing X99? Was it an evolution of the same concept you had tried with Model 01, or did you draw inspiration from elsewhere? I like a very specific style of cases and mods. I am a firm believer in “less is more”, just simple things done well, not the mentality to just fit as much as possible because you can. I looked to fellow modders and drew inspirations from them. 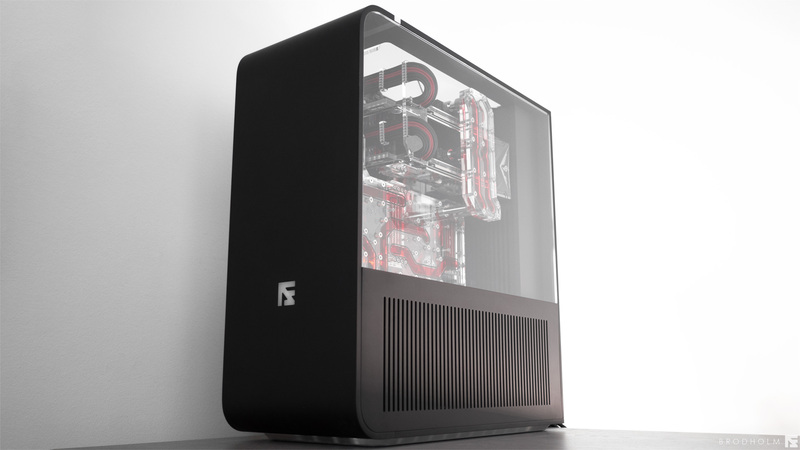 I would say that the outer shape is a mix between a Silverstone TJ07 and an In Win case. The goal was to make something that was a bit more “art” than a case. I have tried to follow general design rules with lines, curves, and so forth to get the balance correct and to get the right “feel”. I also try to draw inspiration from nature and the shapes you can find there. This means making some sacrifices, but I think I struck a good balance between function and form. It’s always a hard line to walk. This while Integrating things like fan filters, fill/drain ports, and having it run silent while still being a high-performance system had its challenges. What inspired the component choices for Wing X99? 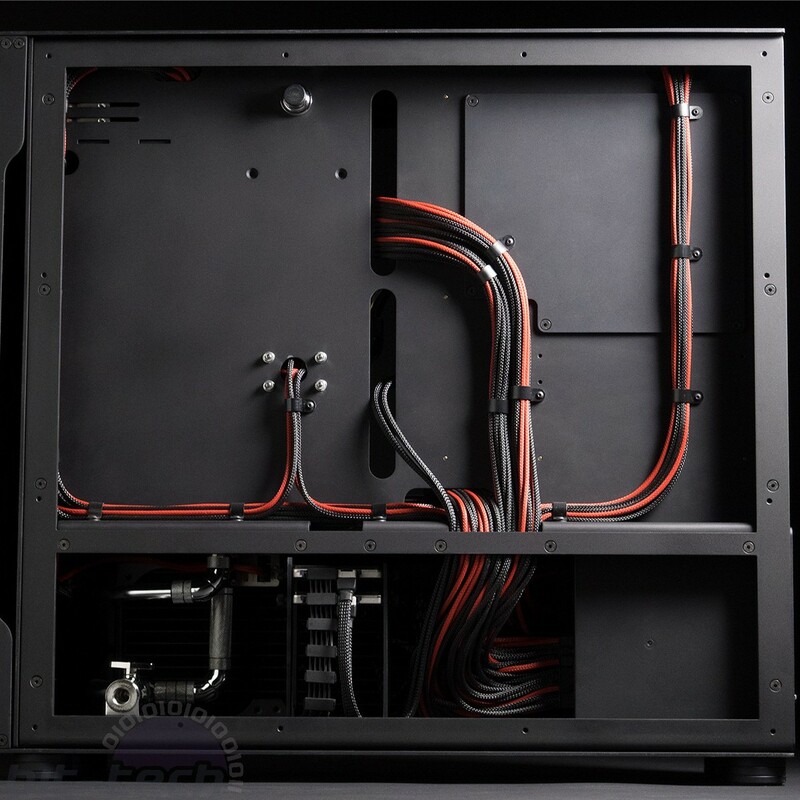 Is this PC going to be used for workstation tasks primarily?